Do your kids love playdough as much as mine? After years of using store bought, I finally figured out the best homemade playdough recipe this year! My kids play with playdough all the time. It’s the perfect indoor activity when it’s rainy or cold, and I can pretty much guarantee they’ll settle down in the evening if I’ve got playdough ready to be molded for them on the table. Not only do we use it for play time, but this year, we’ve even seen how useful it can be in our homeschool. Charlotte uses it to shape numbers and letters, creates patterns, and even practices cutting with her playdough. And, now that we make our own, she even gets to do a little learning in her “kitchen classroom” by helping me make it. This week was Charlotte’s birthday, and instead of handing out treat bags full of candy and cheap toys, we decided to make our favoritething for all of her friends. Since she had a unicorn party, we gave out little goody bags full of unicorn playdough! While I was searching my old Facebook posts for my recipe,I thought I should go ahead and put it on the blog. 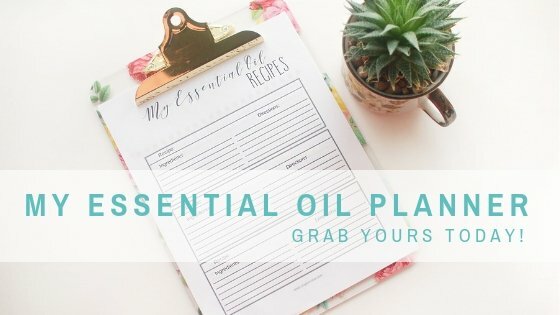 Friends are always asking me for the recipe, and I have to search for it every time. This way, it’ll be easier to find, andI can share it with the rest of the world, too. The recipe makes enough for 2-3 kids, easy! It lasts somuch longer than store bought, especially if you keep it in an air tight container! It’s cheap. It probably costs me less than $1/batch! Most of the recipes I’ve found online include cream of tartar. Ya’ll. Have you ever pricedthat stuff?? It’s not exactly something I keep in my spice cabinet, and it’s notcheap. Well, I guess for the little jar it is, but with how much playdough we’ve been making, we were running through it way too fast! So when I ran out (again), I went on the hunt for a way to replace that, and came up with lemon juice! It makes the recipe even cheaper than before, and honestly, I feel like the playdough is a lot smoother, too. Put everything except for the food coloring and essential oils into a pan and heat over medium low, stirring constantly. It’ll get pretty thick and clumpy, but keep stirring. Once it all balls up and sticks together, remove it from the pan and allow it to cool on a cookie sheet or sheet of parchment paper. At this point, it’ll still be pretty sticky, but as it cools, that’ll go away. Once it’s cool, add about 3-4 drops of essential oil and the food coloring of your choice and then work it into the dough with your hands until thoroughly mixed. Voila! 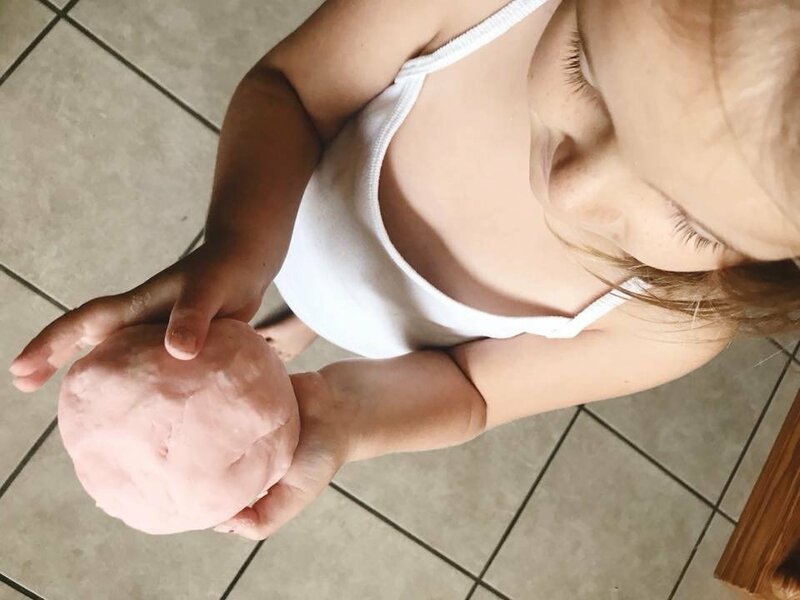 You now have homemade, calming (if you used oils) playdough for the kids! The whole process should only take about 10 minutes from start to finish, and since there was no boiling water, it was safe for the kids to help, too! This time, we also had a lot of fun adding glitter to the playdough. We just added a couple of tablespoons at the same time that we added the food coloring, and then mixed it all in! 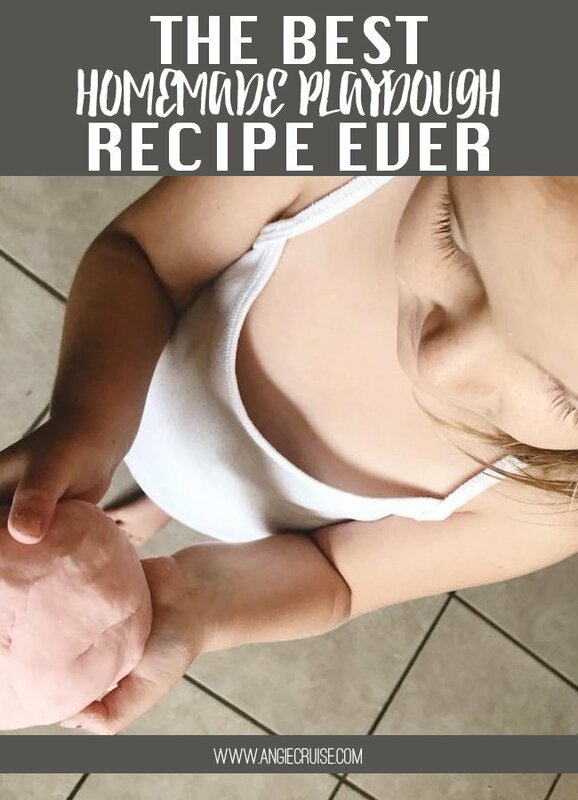 This really is the best homemade playdough recipe I’ve come across. Make a batch or two with your kids and see just how easy it really is! All it takes is about $1 worth of ingredients, and 10 minutes in the kitchen for a fun, memorable craft that lasts and entertains the kids for months!